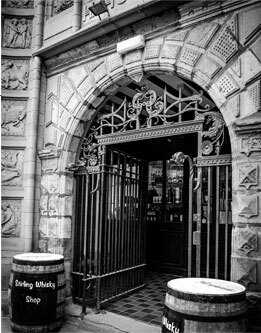 For a different kind of 'Local Spirit', visitors to the Royal Burgh with a discerning palate might wish to pay a visit to the Stirling Whisky Shop, based within the entrance to the Victorian High School in Spittal Street - currently better known as the Stirling Highland Hotel. Stocking Stirling’s largest selection of Scotch Whiskies, Gins, Vodka, liquors, beers and a range of speciality wines, champagne, cognac, and much more. The Stirling Whisky Shop also offers daily in store Whisky Tastings, bespoke private and corporate tastings, a regular Whisky Club (meeting on the first Thursday of each month) - and investment advice and valuations. The Spirit of Stirling Whisky Festival is now an annual event in the Burgh's calenday. The 2015 Festival will be held on the 9th of May. 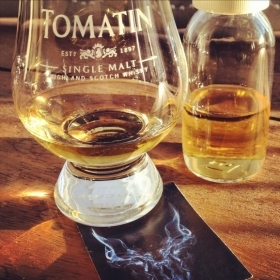 For a tipple with a spooky tale (or, indeed, tail) attached, The Happy Hangman recommends Cù Bòcan - a smoky spirit with hints of rich citrus and exotic spices, which takes it's name from the legendary spectral Black Dog said to have stalked the Highland village of Tomatin for many centuries. A whisky with bite...and one of the wide selection of quality spirits available from the Stirling Whisky Shop!